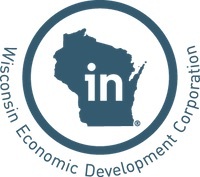 The Wisconsin Language Roadmap is a strategic planning document to enhance the economic competitiveness of the State of Wisconsin and to meet the language and cultural demands of Wisconsin’s workforce and communities by strengthening world language education in our state. Hundreds of Wisconsinites from across business, government, community, and education sectors contributed to the development of the report and its recommendations. You are invited to share the Wisconsin Language Roadmap with colleagues and stakeholders in your organization and professional circles, and are encouraged to consider the role that you and your organization can play in supporting the report’s recommendations to realize the vision of a world-ready Wisconsin. The Wisconsin Language Roadmap Initiative is sponsored by The Language Flagship of the National Security Education Program in the U.S. Department of Defense, with substantial support from the University of Wisconsin–Madison International Division and the College of Letters & Science, and in collaboration with the Wisconsin Department of Public Instruction and the Wisconsin Economic Development Corporation. Title VI of the Civil Rights Act of 1964 prohibits discrimination on the basis of national origin, which includes language-based discrimination. In accordance with federal law and its enacting regulations, any person with limited English proficiency (LEP) has the right to request and receive information related to the Wisconsin Language Roadmap Initiative in a language other than English. If you need the recommendations or the report in a language other than English, please contact Dianna Murphy, diannamurphy@wisc.edu.